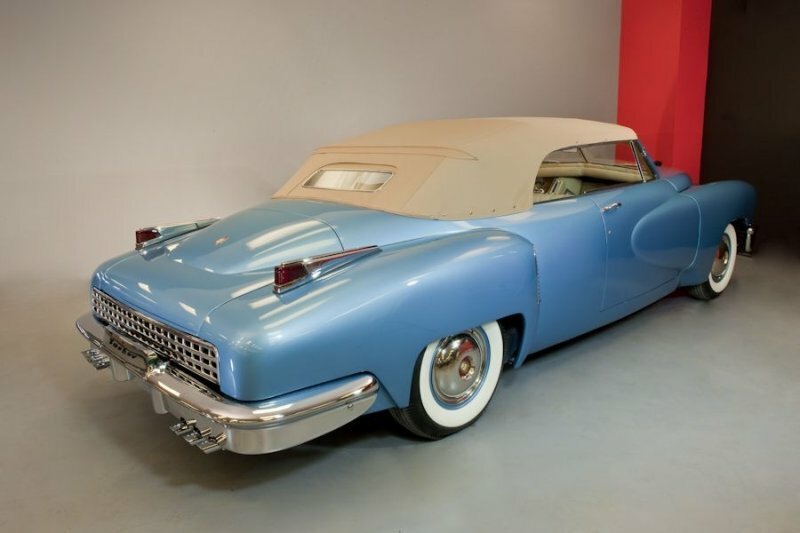 Did the car come from the Tucker factory as a convertible ? No. Did the car come from a third party design studio as a convertible ? No again. 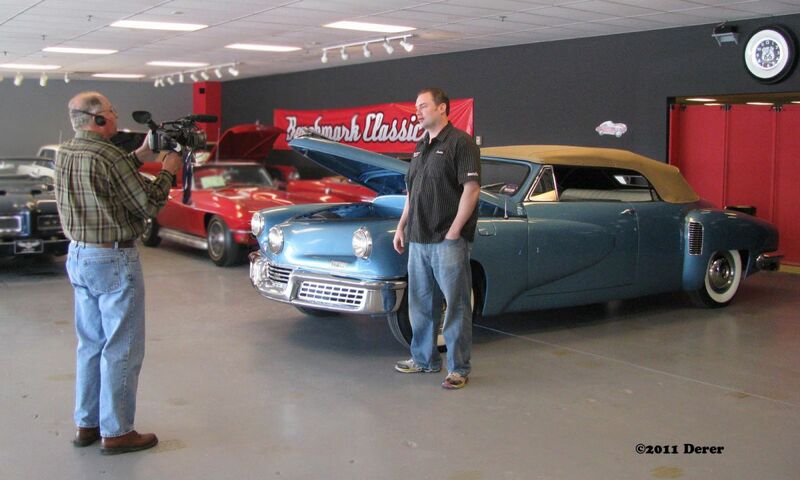 The car arrived at Benchmark Classics in Madison, Wisconsin USA as two trailer loads of parts. This is Tucker number 57. The number 57 is stamped in three places. The 57 is stamped twice on the cowl and once on the hood. Apparently no one else has Tucker parts with the number 57 stamped on them or they would have spoken up by now. 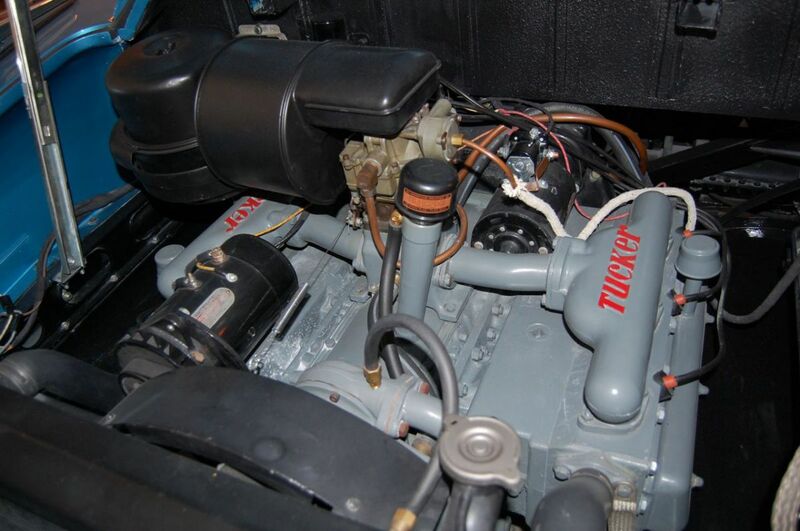 On other remaining Tuckers, is the body number stamped anywhere else ? I don’t know. For questions like this you might want to contact Tucker historian Mike Schutta. 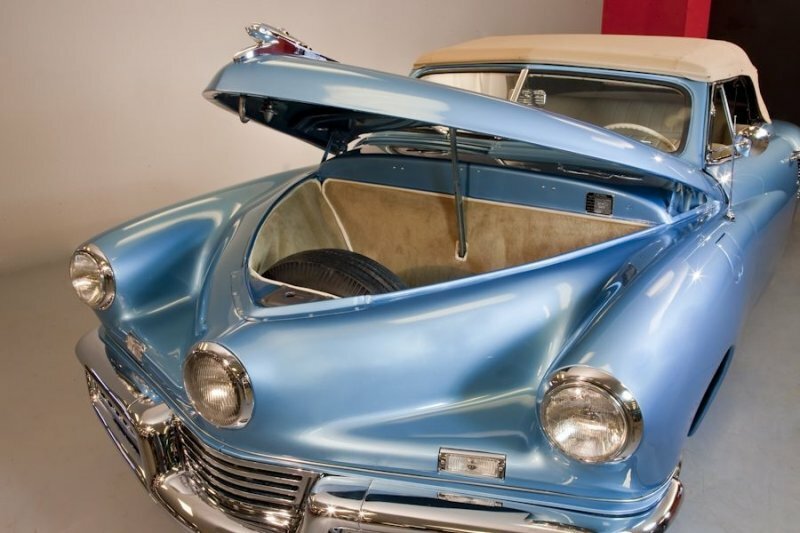 I don’t believe there is a VIN plate in the front trunk but this is probably because this car was not finished at the Tucker factory. 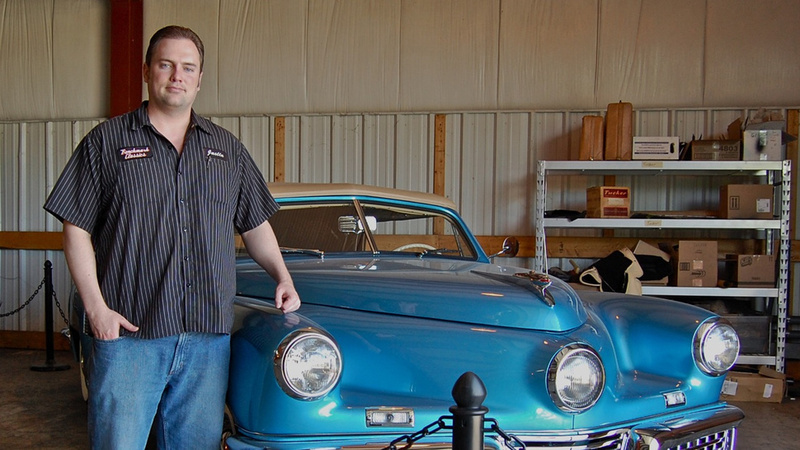 When I spoke with Justin Cole, part owner of number 57, in March of 2009 he seemed a little embarrassed that there is documentation that number 57 was used in a rear window design experiment. But this is the fact that makes it plausible that this body shell was destined to be a convertible. 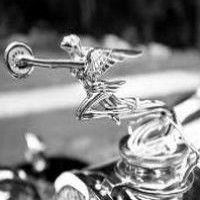 The company was working desperately to finish 50 automobiles. Which body shell would you use for a convertible ? You would use the shell whose roof had already been violated, number 57. As I said, the car arrived at Benchmark Classics as two trailer loads of pieces. Much metal work had to be done to finish the convertible. 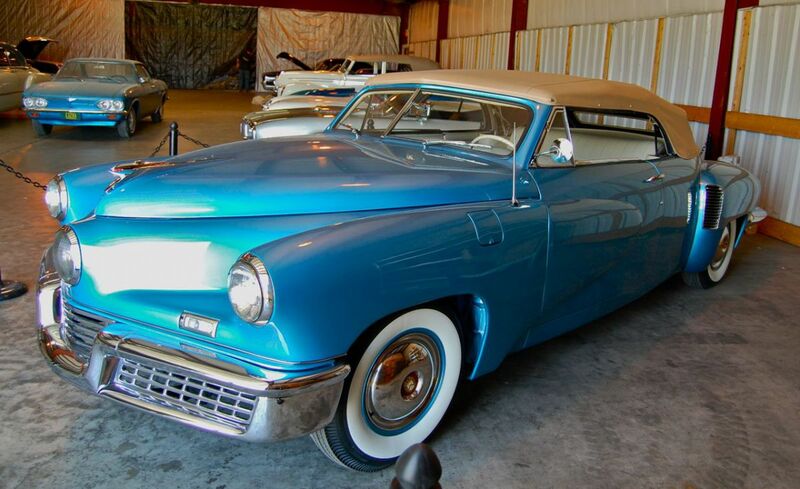 The Tucker was originally a four- door car. As a convertible it was now a two door. This meant the two remaining doors had to be lengthened six inches. 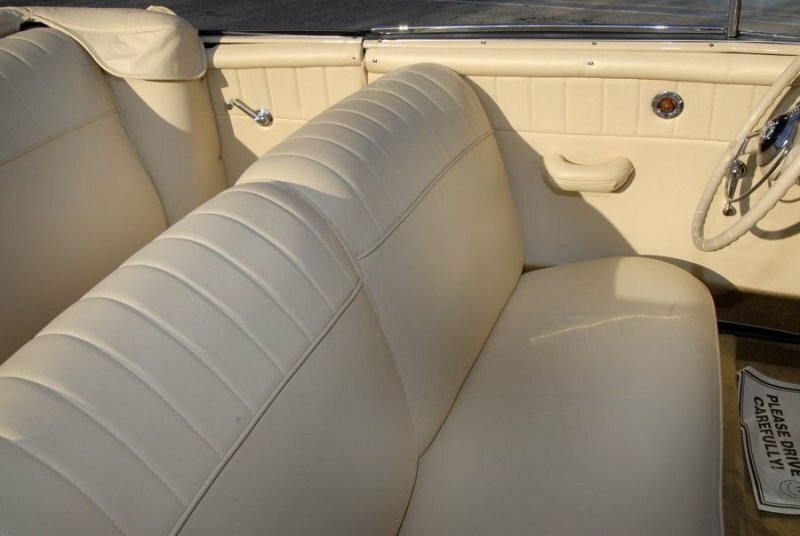 The window frames had to be cut away and the tops of the doors had to be reconfigured for the convertible top. The door jams came from a 1938 Buick as were the inner door skins. 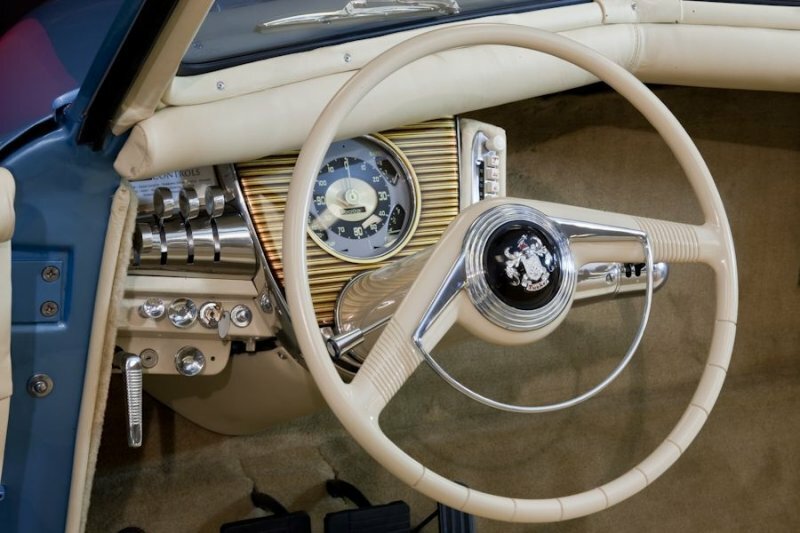 The convertible apparatus came from a late 1930s General, Motors car. 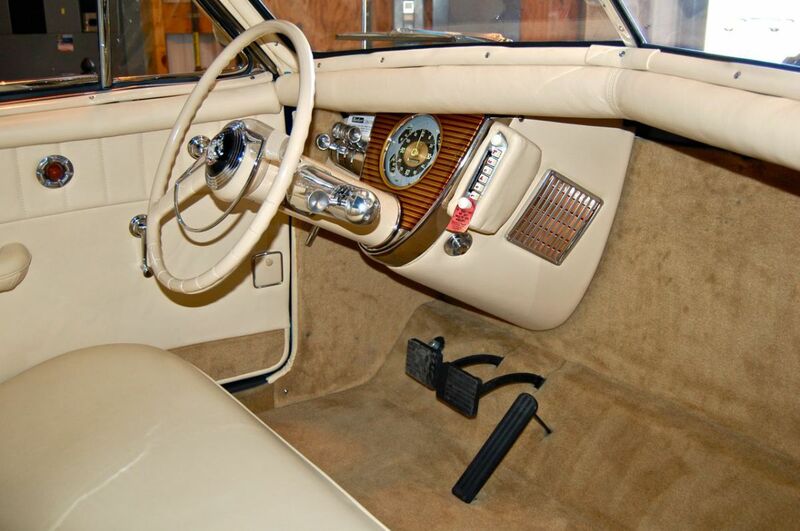 The quarter panels behind the doors had to be created as were the rocker panels and the panel to the rear of the top, known as the Dutchman’s panel. Everything else came in the two trailer loads of parts that Benchmark acquired. One of the other important details is that the frame had been strengthened at some time in the past. I have not seen this for myself but I’m repeating what I have been told by people who worked on this project. Assuming the frame strengthening is true, to me this is a clear indication that these pieces were destined to become a convertible. The question in my opinion comes down to whom originally set this car aside for the purpose of becoming a convertible ? 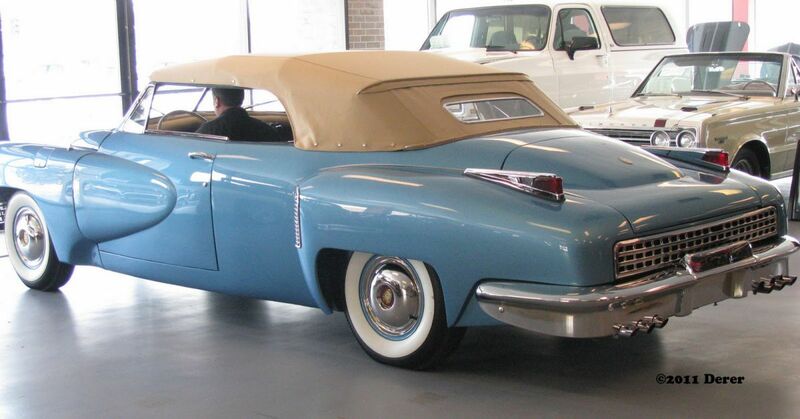 There doesn’t seem to be a piece of paper saying Preston Tucker ordered this car. Does this mean that he didn’t order it ? I don’t think so. It’s possible that this project for whatever reason might have been off the books or that the records were lost. 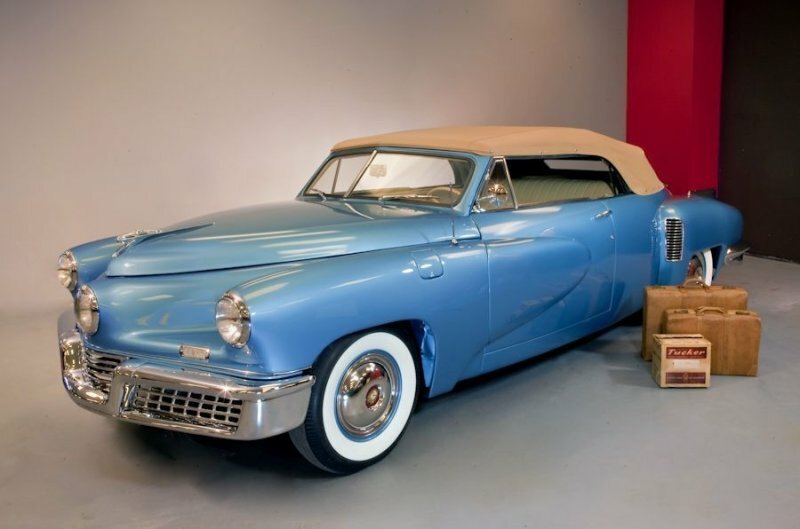 I believe the Tucker Club has 60 thousand documents from the Tucker factory and in them there is no mention of a convertible. In my opinion there should be some mention of a convertible. 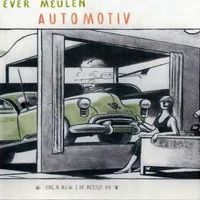 All the automakers at that time had a convertible, two door versions and station wagons in their marketing line ups. 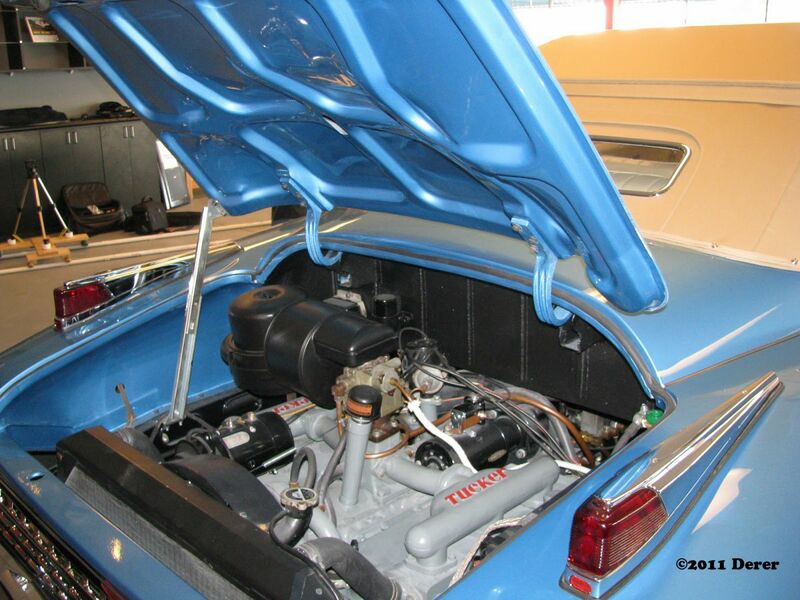 It would have been difficult to create a station wagon with the rear-engine car. There should be some mention though of a convertible, if for no other reason that to nix the idea. It is again my opinion that some records are missing from the Tucker factory history. In the end, in my opinion , I find it plausible that this car was always intended to be a convertible. The question remains though, who ordered it ? The piece of paper that says Preston Tucker ordered it doesn’t seem to be anybodies possession. So this is probably going to remain one of our great automobile mysteries. Image courtezy of Benchmark Classics. I am very proud to have seen and videotaped this project while the body work was being done. I am especially happy to have gotten a ride in it, however short that ride was. 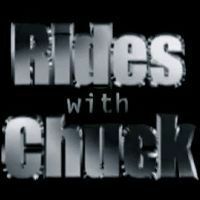 I thank Justin Cole for allowing me to captures at least a bit of this project for my YouTube channel, RidesWithChuck. 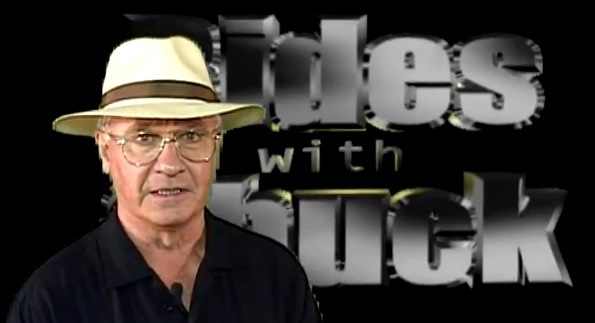 For further information and views of this car I recommend communicating with Mike Schutta, the Tucker historian. 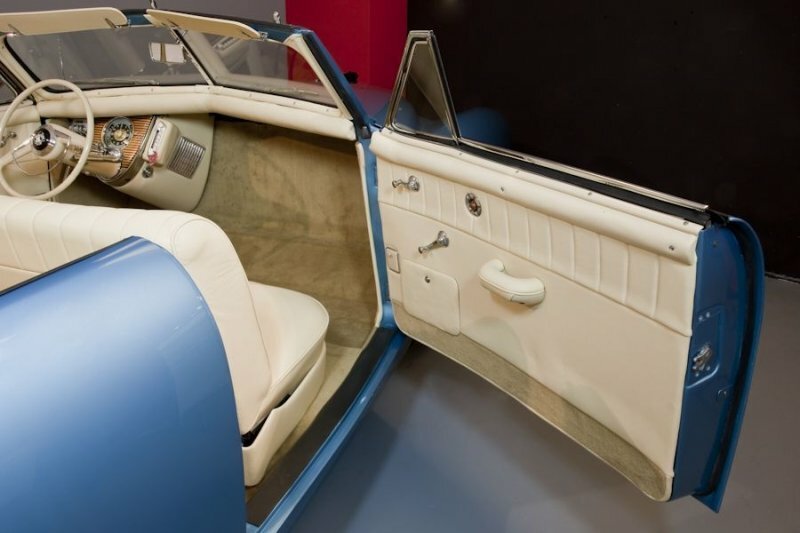 The Tucker Convertible Project by Benchmark Classics. The Tucker Automobile Club of America.